You must make reservations at least 5 minutes in advance of the time at Escargot 41. Escargot 41 - experiencing quality French cuisine in an inviting and comfortable atmosphere! Prince edward island mussels simmered in chardonnay, fresh basil, shallots, diced fresh tomatoes and a touch light cream. A delightful recipe from "cuisine de provençe "
Angel hair pasta with 6 large escargots in pine nuts brandy provencal sauce. Tossed with a whole grain mustard, greek oregano, sun-dried tomato dressing and goat cheese crumbles. Lobster bisque finished with cream & sweet sherry. Thymus gland in young cow, pan sautéed and served with a morel mushroom cream sauce. We went to celebrate a birthday. I made the reservation online but called to be sure they knew about the special occasion. Food was good, but unfortunately service was not. Big problem at the end of the meal: they gave the check to the birthday person rather than me. Very embarrassing! News flash: women are very capable of paying for a meal! Just put the bill on the table rather than automatically giving it to a man. Very disappointing especially given the restaurant was almost empty. Wow , we found this by accident and now ever time we are in Naples. We will try to go back. The escargot, salmon, salads,duck, wine offerings and service was just perfect. We loved it! Great food and service. Looking forward to returning. This is a nice traditional French restaurant with attractive décor; we enjoyed a delicious dinner with attentive service throughout. We each tried one of the seven escargot appetizer offerings, which were rich and buttery. Entrees were delicious and accompanied by rice or potato and a vegetable. For dessert the profiteroles and chocolate moeulleux were very good. Don’t let the strip mall location deter you as it is lovely inside and service is with fine linens and china. Highly recommended. 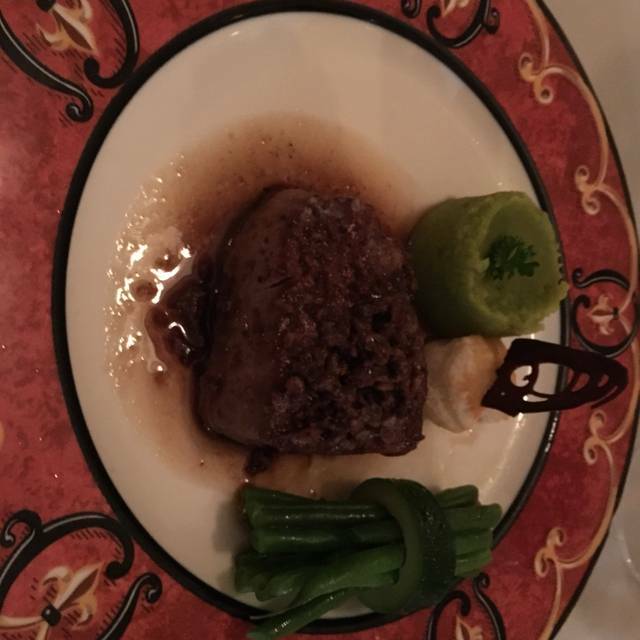 This was the best food, beautifully presented, and best service we have had in Naples. Each course was delicious. The wait staff was extremely friendly and attentive. 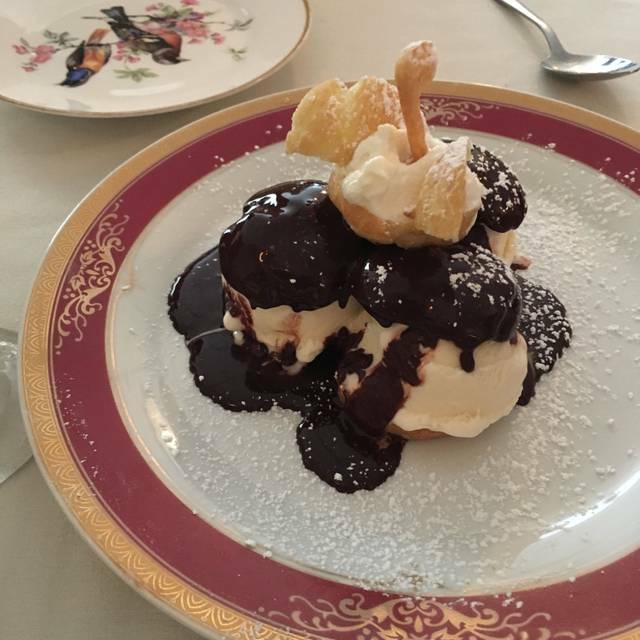 Escargot 41 is one of our favorite restaurants in Naples. Our first time here. We enjoyed the escargot, spinach soup, spinach salad. My husband ordered the crispy duck and I had the fillet mignon. We enjoyed our meal there very much and look forward to returning. Overall bland food without any interesting ideas. I had brie snails. No taste of brie whatsoever, just cream. My partner had escargot 41 snails, i.e. signature dish. Looked and tasted like some mushroom soup that had a few dead snails in it. The duck was crisp (ok) but the presentation was poor. Carrot mousse.. how about using some spices or herbs? Anything to make it interesting! I don't understand how this place can possibly get so many great reviews and how anyone would be a repeat guest. Maybe all the rich midwestern snowbirds that have even worse food where they're from. Food and service were outstanding, while portions were a bit meager in light of the high price tags. Celebrated a significant birthday there and it was awesome! We sat in our usual booth and enjoyed a lovely pre-theater dinner. Escargot 41 is an outstanding french/continental restaurant, a great find. The food is excellent, the staff is friendly, and the ambiance is enjoyable. The food was as good as it gets in Naples! This place deserves to be more crowded. Great French style food and excellent service. Escargot multiple ways. My crispy duck was the best I have had in years. Pricey but worth it. Owner was gracious and dining room staff was pleasant and efficient. Outstanding food and service! Our second time here. Drove up from Marco because we enjoyed it so much the first time. Save room for dessert! We will be back every time we visit! Great fook, great service in this small restaurant in a shopping center. Very personable service. They gave us a complimentary desert for her birthday. Nothing else like it in Naples. We were impressed by the warm welcome we received upon entering the restaurant and that was just the first of many positive impressions during the evening. My wife and daughter were very pleased with their choices. I started with the escargot and angel hair pasta and would, without reservation, recommend this dish. My entree was a daily special. The red snapper with accompanying caper sauce was absolutely delicious. The ambiance and the very attentive and correct service as well as the beautifully prepared dishes make Escargot 41 a very special dining destination. In summary, the experience was reminiscence of dining in France. First time for us and will definitely come back. It’s small and intimate with great service. 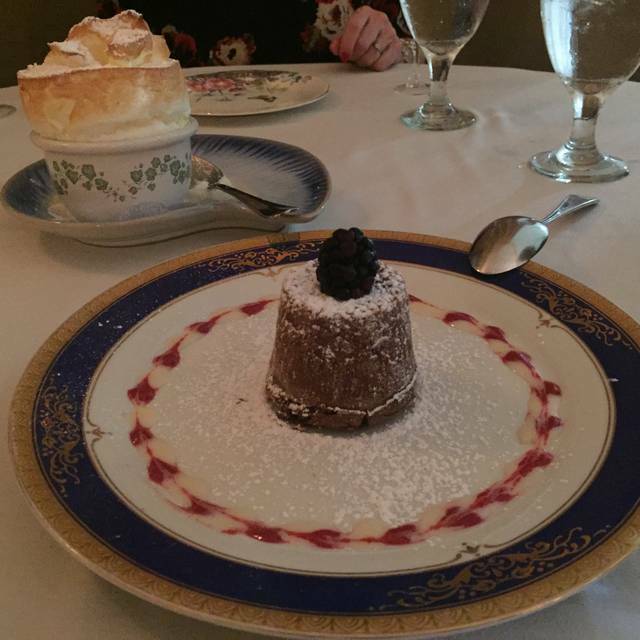 Everything was delicious and we are looking forward to dining here again soon! Food was very good. 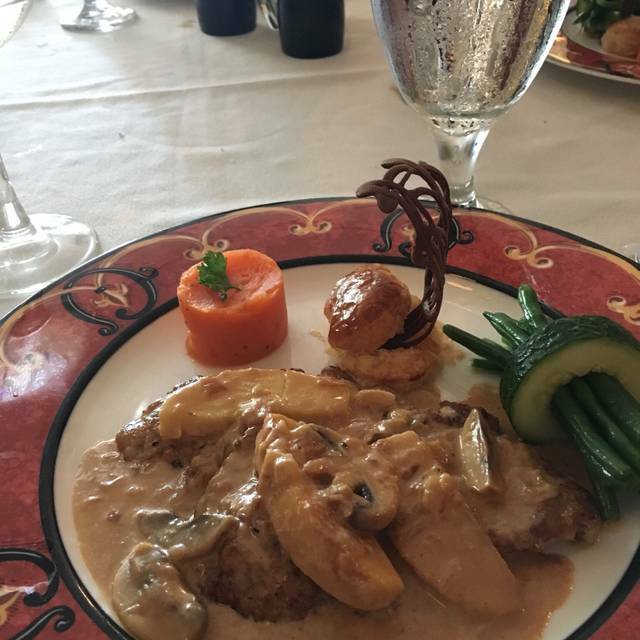 Wife enjoyed duck.My order of the veal was very small. Restaurant of this caliber requires better ambiance. Seated promptly, waiter was attentive and knowledgeable. White wine selection was small. Awesome food , wine, service and friendly and flexible maitre d’ and staff. Escargot 41 is a lovely small French Restaurant located in the corner of a large shopping center. The ambiance is pleasing with tablecloths and nice china. The food delicious and very attentive service. Simply superb. As authentic French as any in the world including Paris. Escargot options are plentiful. Their main courses are excellent. Our party tried duck, fish & meat. And every option was excellent. The service was also terrific, quick & personable. We have been here twice and both times were very memorable. One word of caution. Don’t let the location deter you as it is in a strip mall. The restaurant is a hidden gem. We shall return. We had a very nice evening. The first chorus was escargot and it was very good. The second course was foie gras and it was also very good, very small portion. The salads were excellent I had a Cesar and my wife had a spinach salad which she raved about. For the main course my wife had salmon which she said was excellent, I had the crispy duck which was to die for. We ordered dessert. 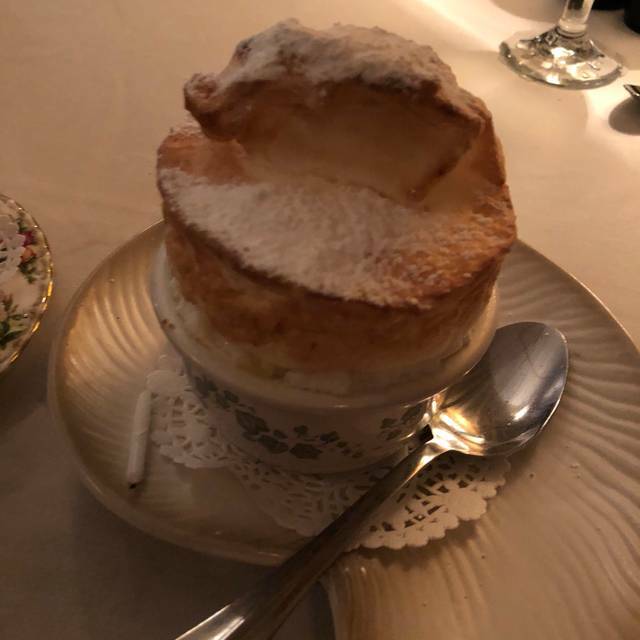 We ordered a raspberry soufflé. It turned out to be a meringue which they poured a wonderful raspberry sauce into the center, it was a letdown,basically it tasted like spun sugar with raspberry sauce in it. The food is consistent and they serve very good authentic French cuisine. It is a great place for an intimate dinner or catching up with old friends. They have some interesting wines but grossly overcharge for their upper end wines. The owner has a bit of an attitude. Please go to this restaurant and keep it thriving so it will be there when we are back in town. A gracious owner, a highly accomplished chef, a professional waitstaff and special, memorable food from bread basket to soufflé. We chose 2 of the escargot dishes to try-the first one made with angel hair pasta and Maria’s favorite, made with tortellini and cheese. Loved them both and wanted more! The halibut entree was also perfect. We had only a few evenings in Naples this trip and seriously considered coming back on successive nights! This restaurant is a Naples hidden gem!!!! If you are a fan of Great French cuisine you are in for a treat. This is as good as any French food that you will find outside of France. Great service and food. A very small restaurant that you need to make reservations. Can't wait to go back. Service is excellent, food is very good, atmosphere is very nice and it is nice to dine in grand style. Escargot 41 is expensive but putting it all together it is worth it. Such a great place for a meal to remember. Ambiance, wait staff, food, wine......we’ll be going back. Food, service, table, manager and welcome were awesome. We will return. The food is always great; ambience is terrific. You can dine and have conversation without shouting at each other. The staff is so attentive. One of our very favorite restaurants in Naples.